Today we are happy to introduce a new sponsor to the TNXL. It is a company famous for its hardware monitoring and diagnostic tool called AIDA64. They offer it in different versions to fulfill customer and company needs. FinalWire was established on the foundation of a few veteran software developers, each with at least 20 years experience in their own respective fields. We all have started our computer experience on venerable Commodore systems, then stepped up to MS-DOS based PC/AT machines to learn assembly and Turbo Pascal, and later moved on to Windows to start coding in Visual C++ and Delphi. During the past fifteen years we have been involved in a number of software development projects, mainly targeting enterprise network management and system diagnostic goals. 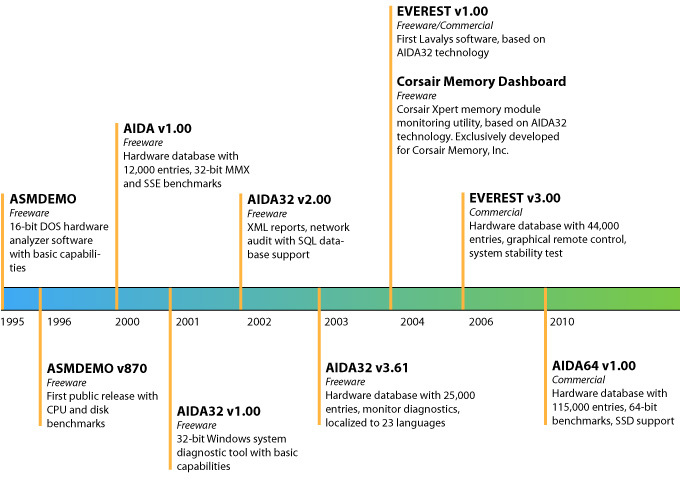 We are dedicated to evolving the hardware detection technology we launched in 1995 with ASMDEMO, and lead it to the next decade with the introduction of AIDA64, our first software with 64-bit multi-threaded benchmarks and 64-bit system stress testing capabilities. To find out more about FinalWire AIDA64 follow the Links below.